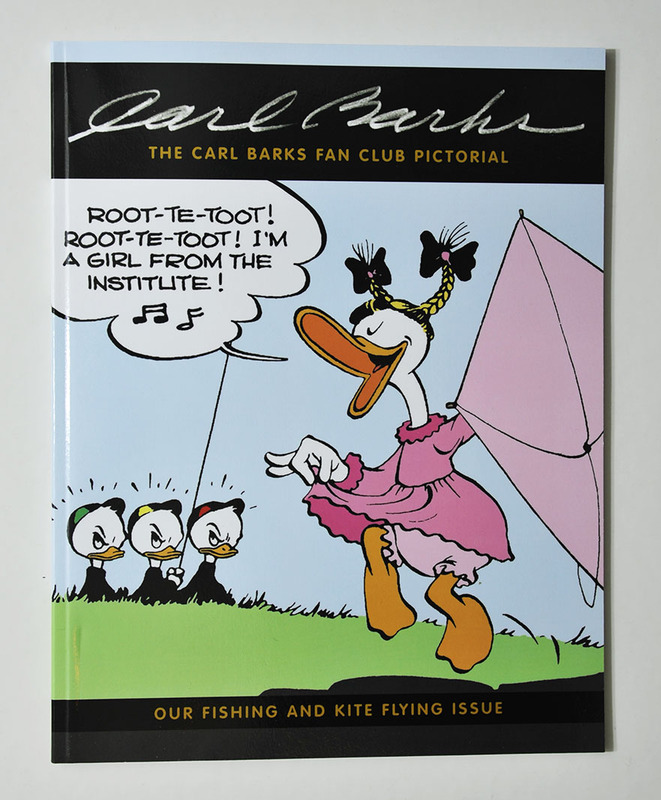 I got The Carl Barks Fan Club Pictorial vol.9 in the mail today. For those unfamiliar with this publication it's a fanzine (I think I would call it that) mainly about Carl Barks' work, but with some other Disney-related articles too. It’s published by Event Horizon Press for the Carl Barks Fan Club, but you don’t need to be a member of the fan club to get these. They are published using Amazon’s CreateSpace self-publishing service, and are pretty easy to get not just on Amazon but from various online book sellers. Also, I believe this is a print on demand service, so there’s no problem getting back issues. What I find most interesting in vol.9 is Kim Weston’s new take on restoring Kite Weather to a 3-tier format. 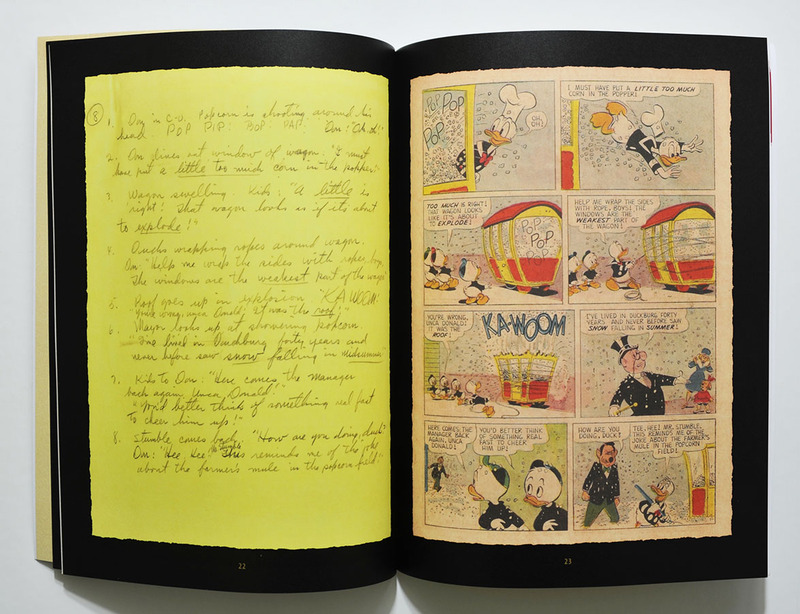 That’s the format Carl Barks originally drew the story, but due to paper restrictions and less pages in each comic the story was edited to a 4-tier format for Walt Disney's Comics and Stories #42. Gladstone already did a restoration to the 3-tier format and that’s the most common version of the story being reprinted I believe. But now we have another version by Kim Weston that he thinks is closer to how the story originally looked. Exactly how the original art looked, we’ll probably never know. It’s going to be interesting to see how Fantagraphics will reprint this story in their collection. Why does Weston think his new mounted version of "Kite Weather" is more accurate than Gladstone's? In an accompanying article he points out two main problems with the Gladstone remount; the lettering is too large and much of Barks' art have been cut. If we compare the size of the lettering in the 4-tier version of "Kite Weather" to earlier 3-tier stories they are about the same size. So it seems the lettering remained the same size while the art has been shrunken in the 4-tier version. Gladstone didn't do anything about this, so both the art and the lettering were blown up. One problem with keeping the lettering+speech balloons the same size, but enlarging the rest is that you'll get empty space and actually have to add new art yourself. You can see Weston had to do that in ex. panel 4 on the first page (part of the window is redrawn). And in my opinion none of the two 3-tier remounts got the roof (i.e. lack of roof) right in panel 3. You've sold me! I'm gonna fet CBFCP#9 on amazon right now! Volume 9 also has an article by a chemist about his history with the story "The Mad Chemist". I thought it was fun and interesting to read, but I guess it’s mostly for people having a special interest in everything related to Carl Barks. The article is a backstory about an editorial page in WDCS #301, so it would have been nice to actually have a scan of that page included too. That’s my little complaint about volume 9.